Developer Respawn says it still has a lot of work to do regarding the game’s stability issues. 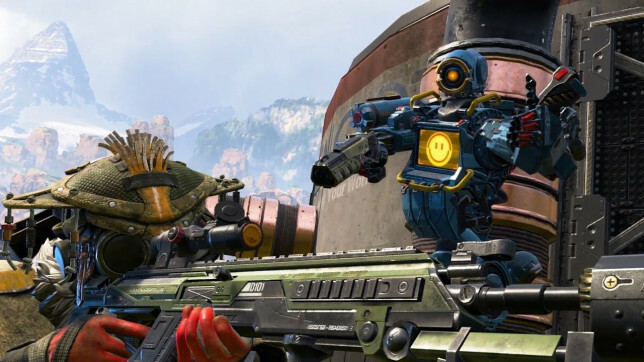 Apex Legends received its first preseason update on Wednesday morning, developer Respawn Entertainment has revealed. The company shared the patch notes on the Apex subreddit. The most important part of the patch notes for players on low and mid-end PCs is that Respawn has “addressed a number of stability and performance issues,” along with solving a few other client and server problems. The company didn’t detail what issues it solved, but players who were experiencing constant crashes and freezing should have a smoother experience from now on. In the gameplay department, there were very small changes to Bloodhound. Their Eye of the Allfather clones will now remain in the world by one second, according to the patch notes. Arc Stars now display a warning indicator like other explosives such as Thermite and Frag Grenades. Apex players should also experience fewer bugs and glitches while in a match. Respawn said it fixed “a number bugs with map geo like holes you could fall through and areas that players could get stuck in plus a bunch of other polish issues.” Although it was not mentioned directly, a glitch such as the one that got Tyler “Ninja” Blevins stuck on top of a mountain during the Twitch Rivals Apex Legends Challenge last night should be less likely to happen. Respawn also added new content for Valentine’s Day. A new badge named “Live Die Live” will be awarded from Feb. 13 to 19 to players who revive a member of their squad. New Valentine’s-themed cosmetic items are also available in the Featured shop.